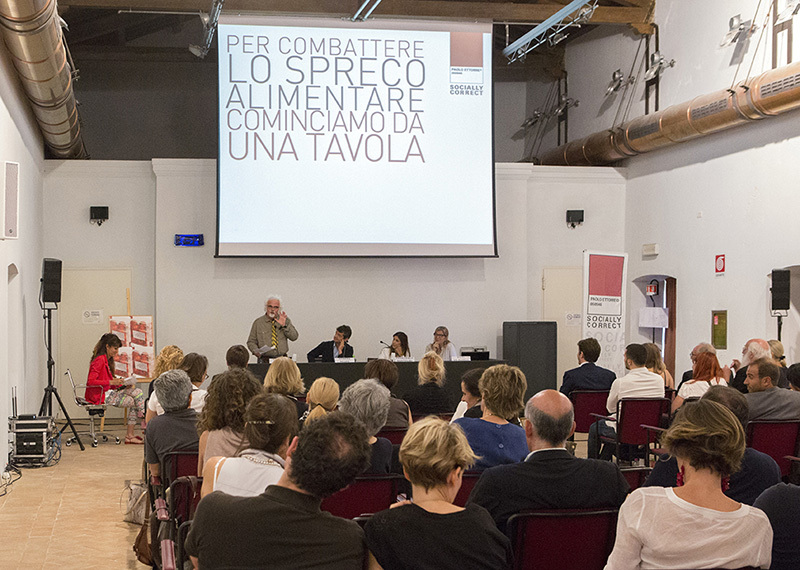 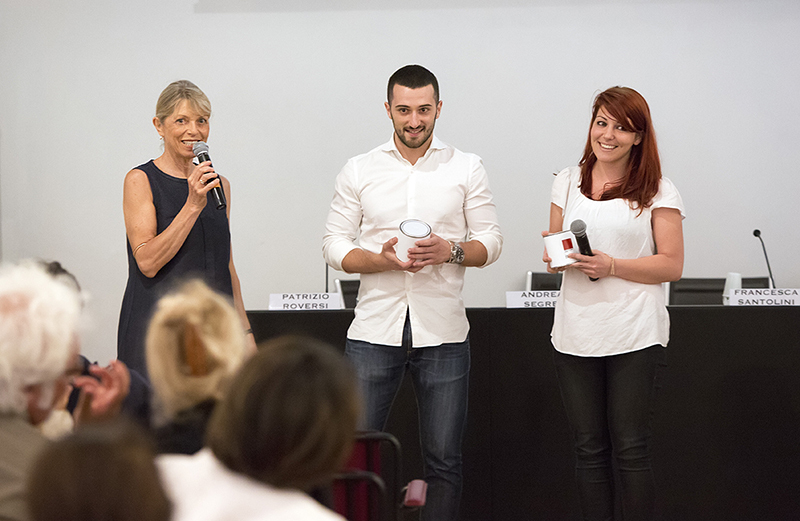 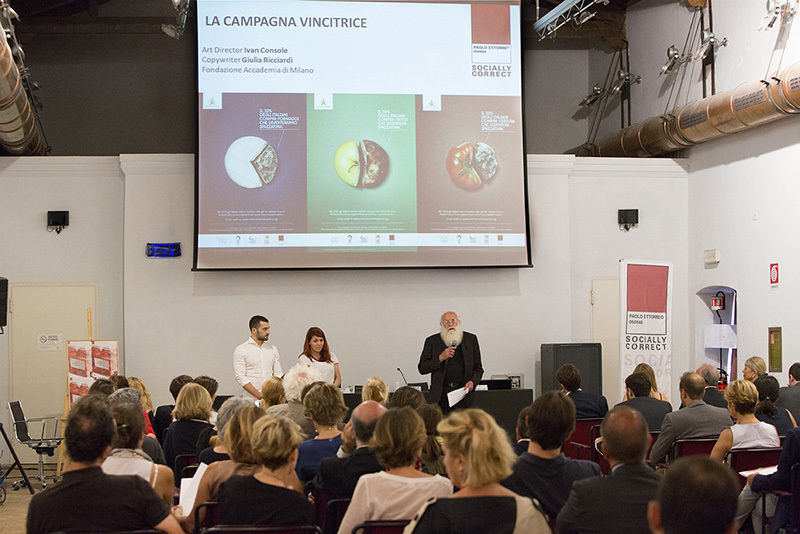 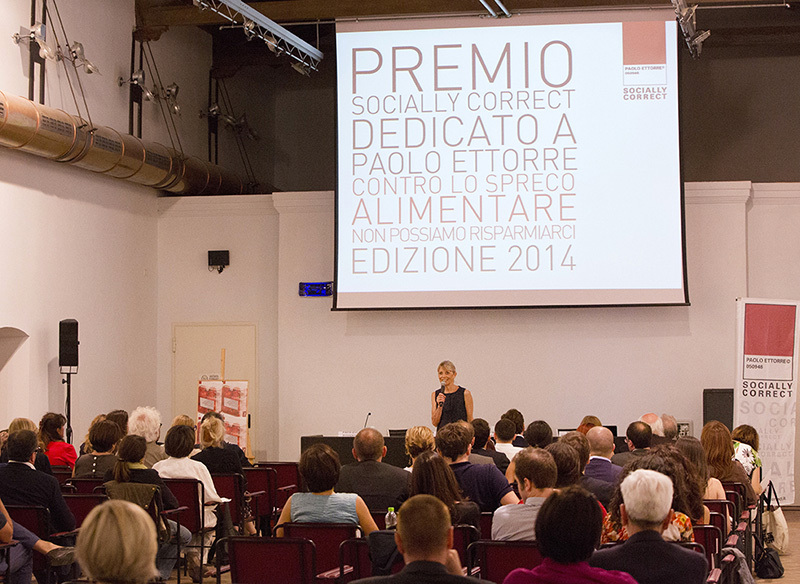 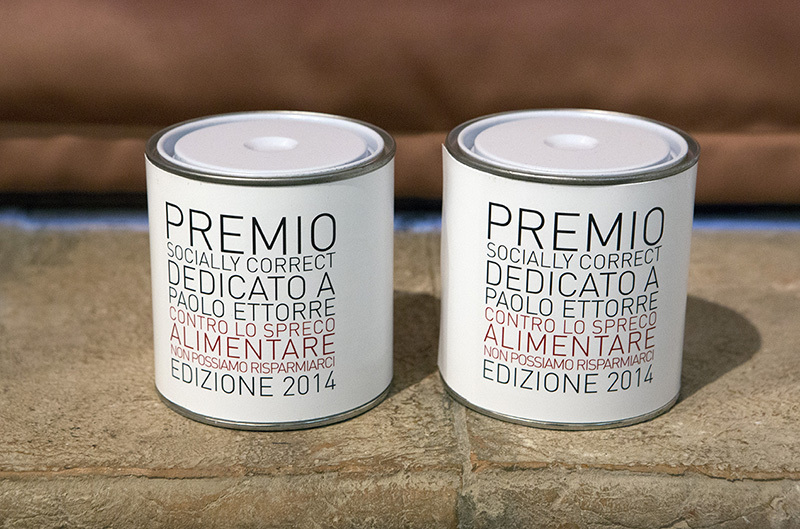 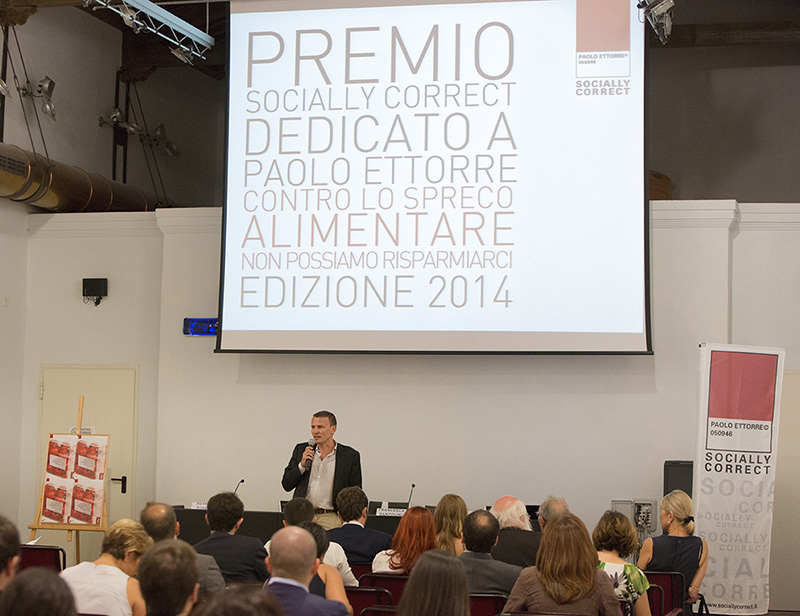 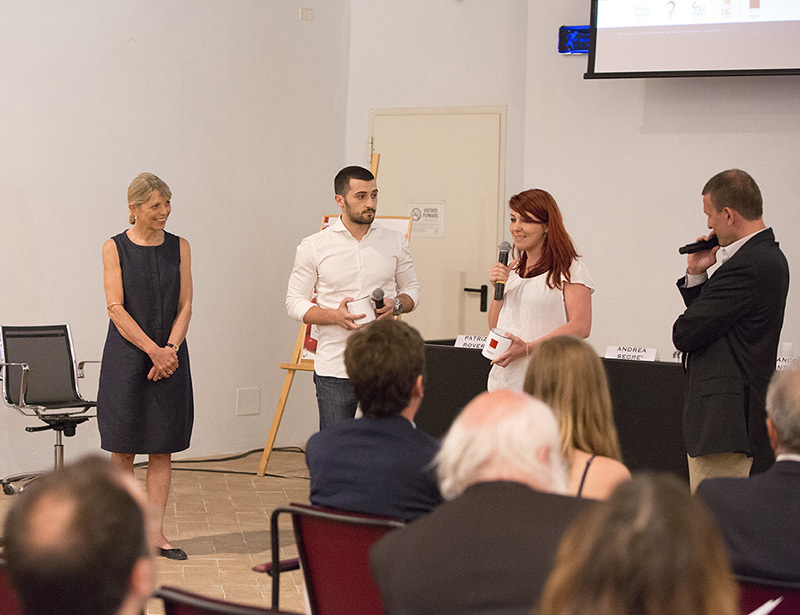 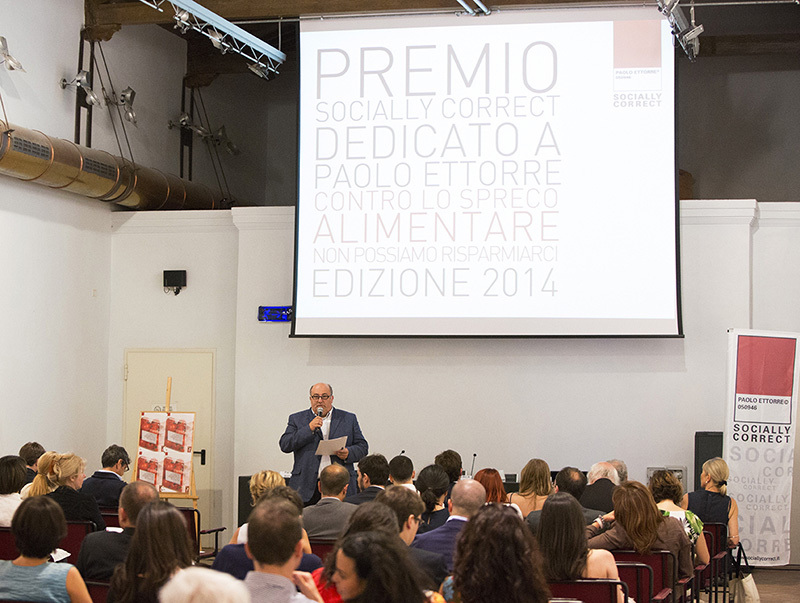 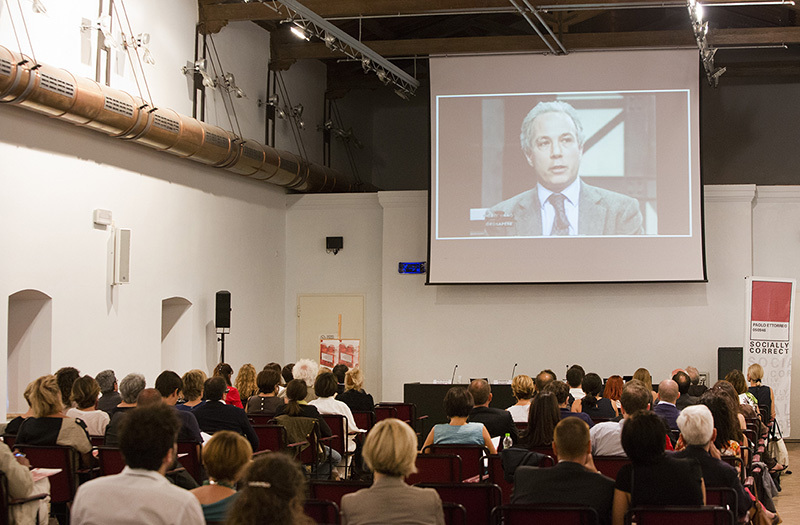 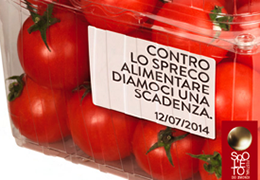 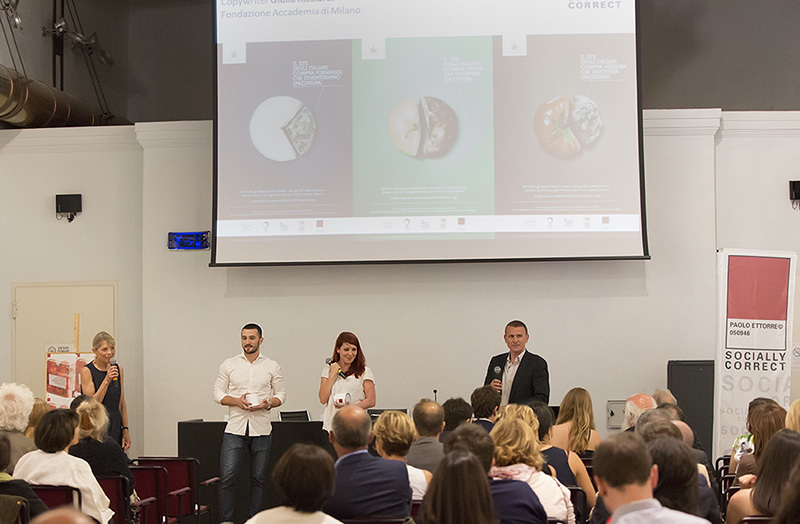 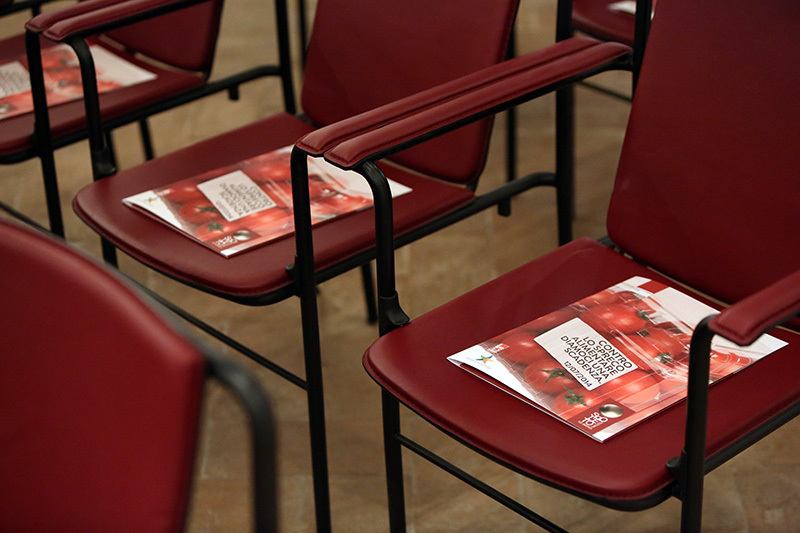 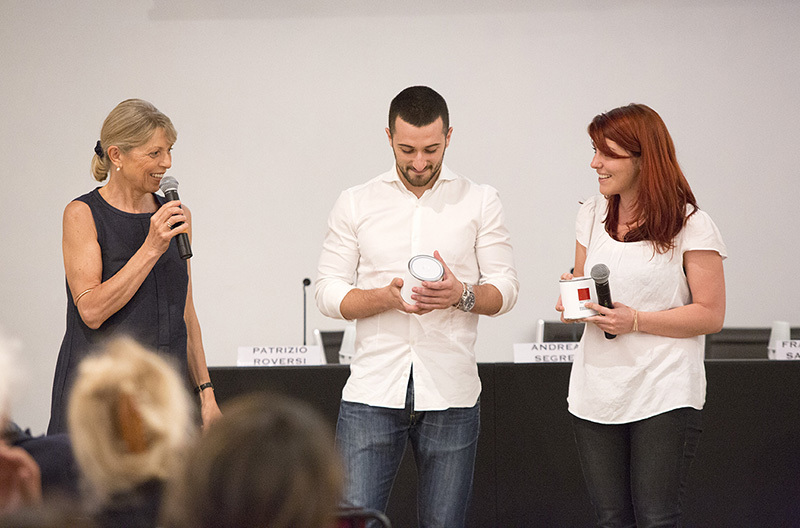 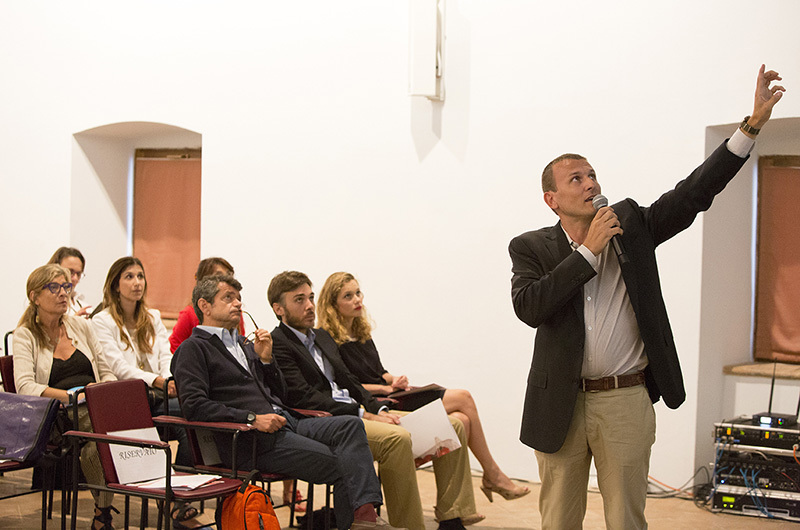 With the invitation “Against food waste let’s give ourselves a due date” the award event for the winners of the seventh edition of the Socially Competition on the theme of food waste, was held on 12th July, 2014 at the San Nicolò Conference Centre, Spoleto. 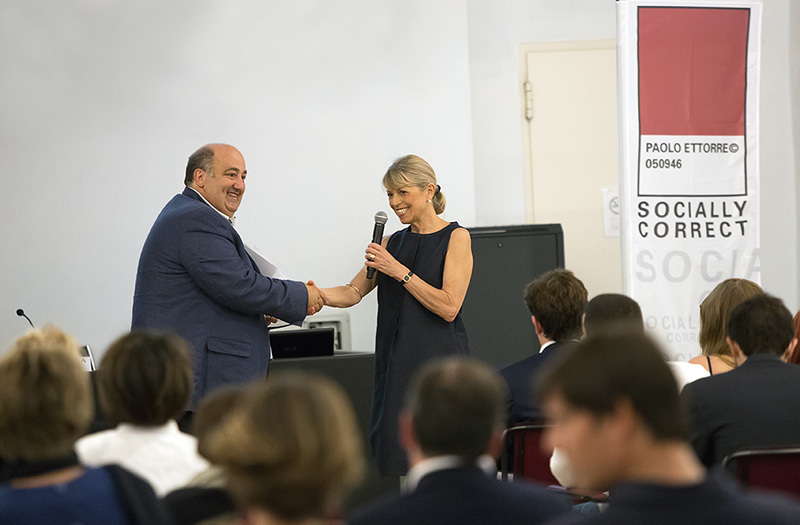 The event was opened with a welcoming address given by Fabrizio Cardarelli, Mayor of Spoleto and President of the Spoleto Festival dei 2Mondi. 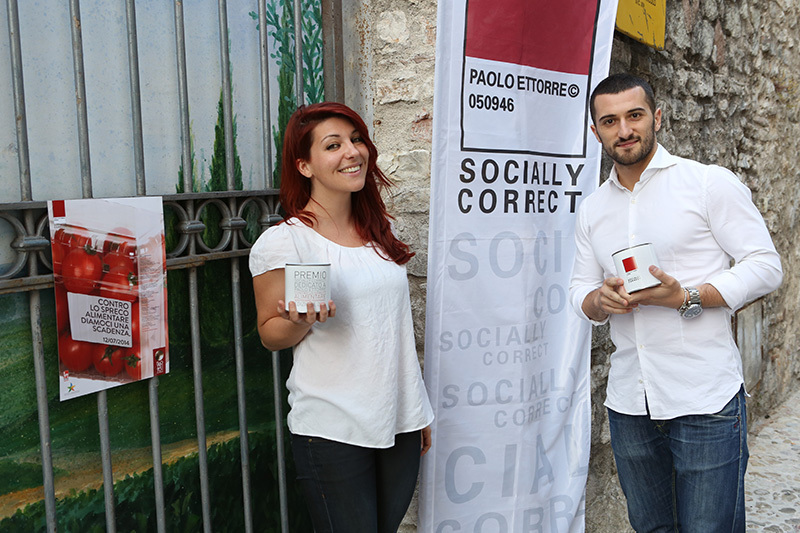 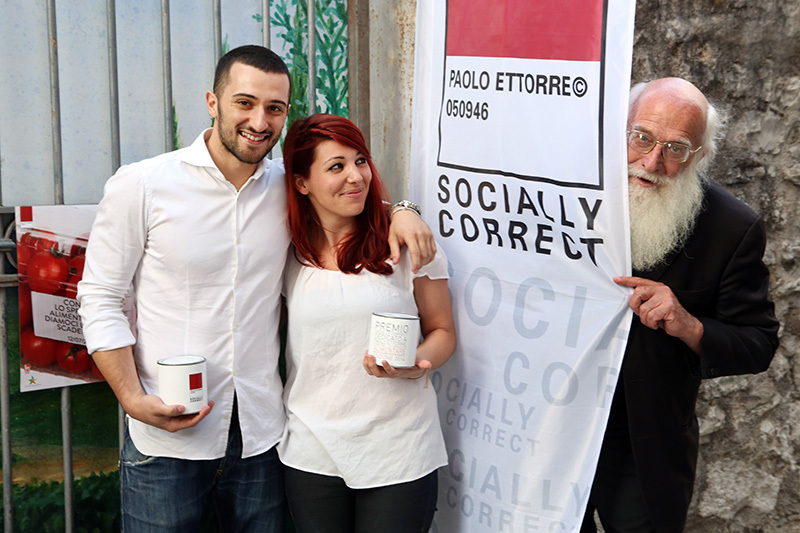 The winners of the competition, Ivan Console – Art Director and Giulia Ricciardi – Copywriter of the Fondazione Accademia of Milan, received the Socially Correct award. 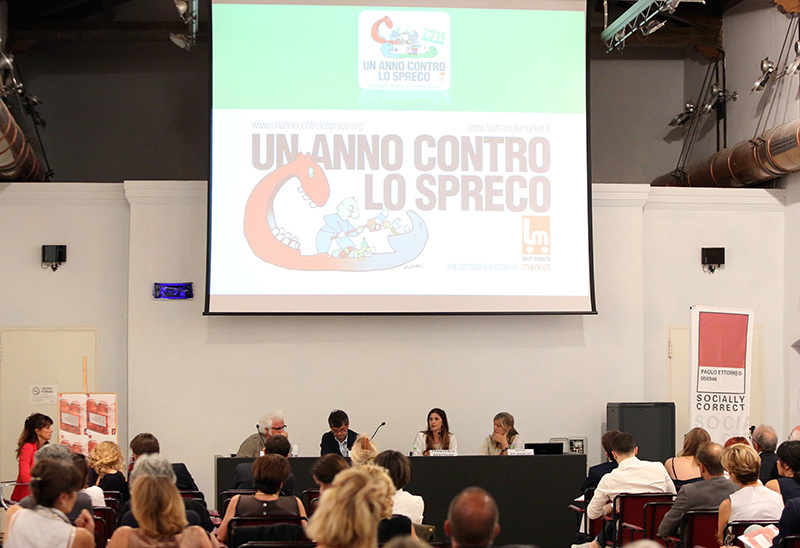 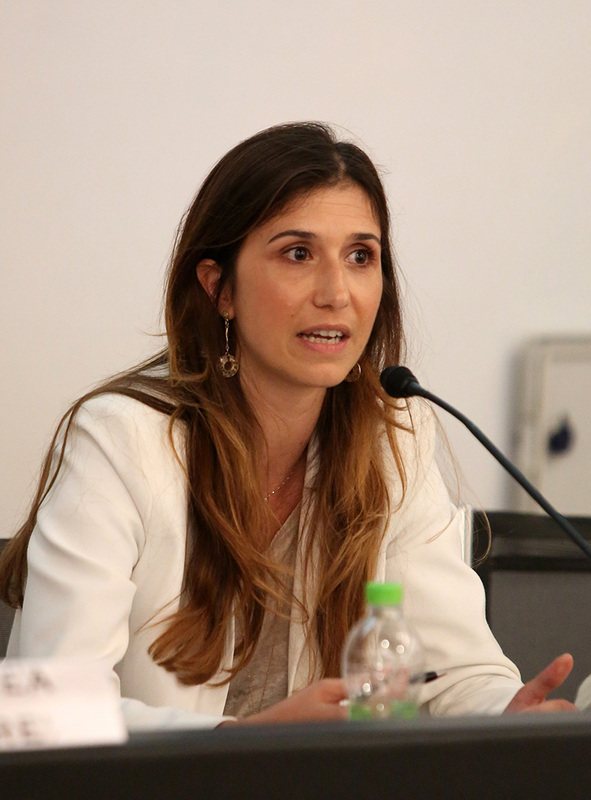 Their campaign, presented by Andrea Brustia of the agency Saatchi & Saatchi, will become the first communications campaign of the National plan for the prevention of food waste (PINPAS), promoted by the Ministry for the Environment, Land and Sea. 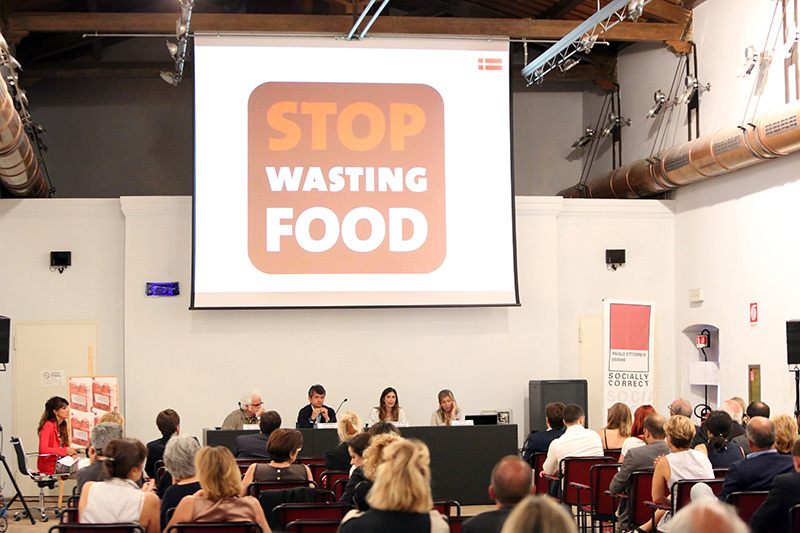 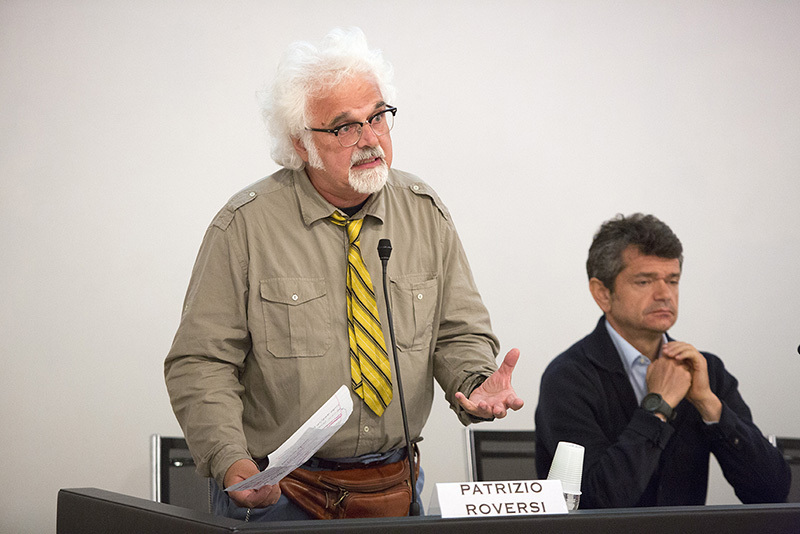 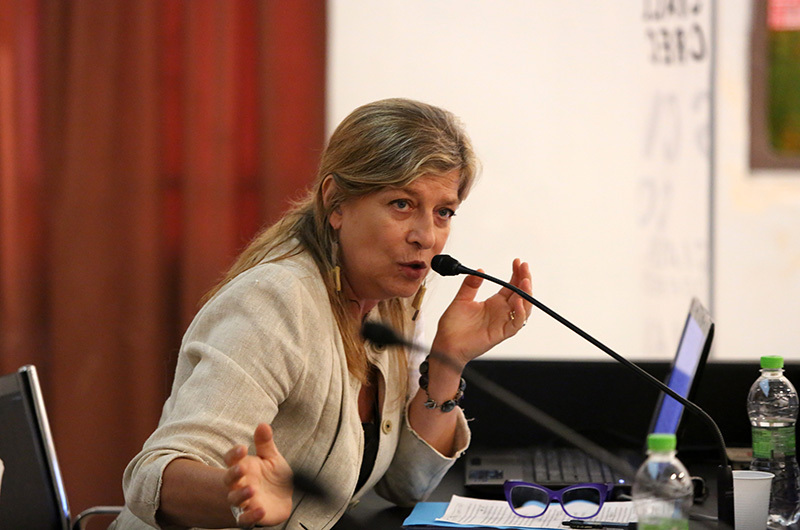 Following a presentation by Michelangelo Tagliaferri, founder of the Fondazione Accademia, the event continued with a round table discussion entitled “To combat food waste let’s start from a table”, coordinated by Mara Monti, journalist of the “Sole 24 Ore”. 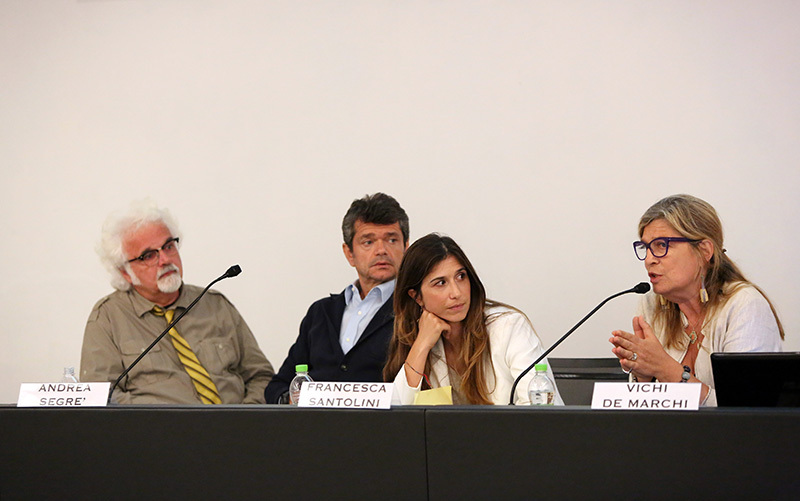 Participants were: Andrea Segrè, President, Last Minute Market and Coordinator for PINPAS, Patrizio Roversi, presenter, RAI television, Francesca Santolini, Cabinet of Gian Luca Galletti, Minister of Environment, Land and Sea and Vichi De Marchi, Italian Spokesperson, World Food Programme.